Why should Iceland be the destination for your next vacation? The mere mention of Iceland conjures up images of imposing formations of ice. While this is only partly true, it is a tad bit unfair representation of the nation that is so much more. Iceland exceeds the expectations of being beautiful. No words of praise are enough to appreciate the beauty of Iceland. It's sheer magic! The country is diverse in its landscape and nothing like you would have ever seen. Iceland seems like a land of fantasy that popped up on the face of the Earth. It’s time for you to explore this one of its kind destination. Go ahead and book a flight to Iceland for a trip of a lifetime. 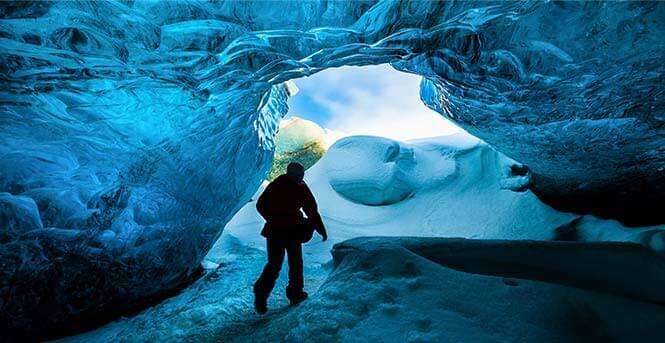 Surreal is the only word that can truly describe the magnificence of the ice caves. Gigantic frozen ice caves formed every winter beside or inside glaciers look no less than delicate glass castles. These forever changing structures are where you can see the color blue in all its glory. When light finds its way in to the caves, the sparkle of the inner surfaces of these ice caves will leave you spellbound. 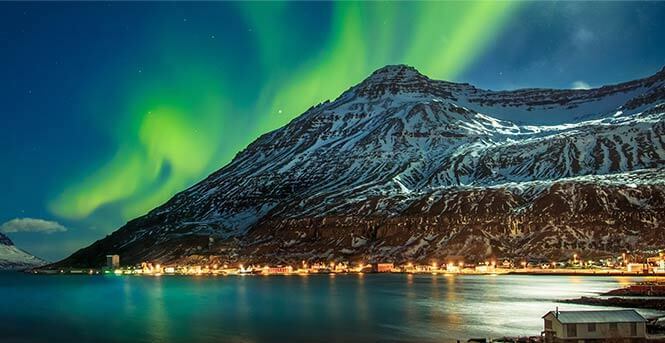 Nothing comes close to the allure of the celestial wonder that is the Northern Lights. A display of lights dancing in the night sky, it is the most amazing thing you will see in Iceland. This astral show can be witnessed on a clear winter night and given the location of Iceland, you will get some astounding views of the Aurora Borealis. For the most breathtaking vistas, leave the populated areas and see pure magic unfold in front of your eyes. Trust us, you will not stop raving about it. Ever. Yeah, sure! There are waterfalls all over the world. 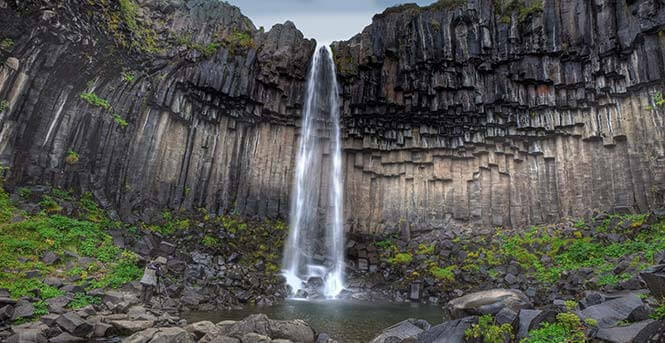 But the artistry that Iceland's waterfalls exude can't really be found anywhere else on Earth. While some are staggeringly mighty, others are small. But, none lesser than the other in their charming demeanor. If you’re lucky, you just might catch multiple rainbows near the waterfalls. Now that’s something worth your time, right?! Nothing can be compared to the warmth of the geothermal pools of Iceland. The Blue Lagoon - Iceland's most popular geothermal pool - is said to have healing properties as its water is rich in minerals. Almost every town has an outdoor geothermal pool as if it was customary. 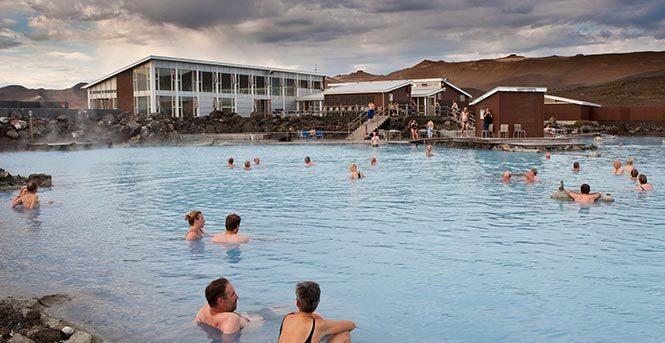 The country takes health and socializing quite seriously and what could better serve the purpose than geothermal pools? Blessed with countless bounties of nature, Iceland is where you get to go whale watching all year round. Seeing these majestic creatures all up close and personal is life enriching to say the least. 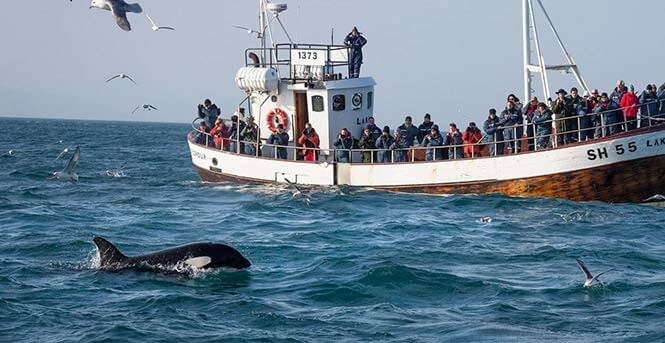 Your trip to Iceland is not complete unless you take a whale watching tour. Even before you see the whales, simply being out in the ocean, breathing in fresh air feels amazing. Being next to the gigantic marine mammals is nothing short of a spiritual experience. Rooted deep in traditions and culture, Iceland’s culinary scene is quite unique. Due to its geological features, the country has developed a cuisine based on meat, fish and dairy. With an influx of tourists in recent decades, many restaurants have cropped up in the capital and other cities that serve global cuisine. 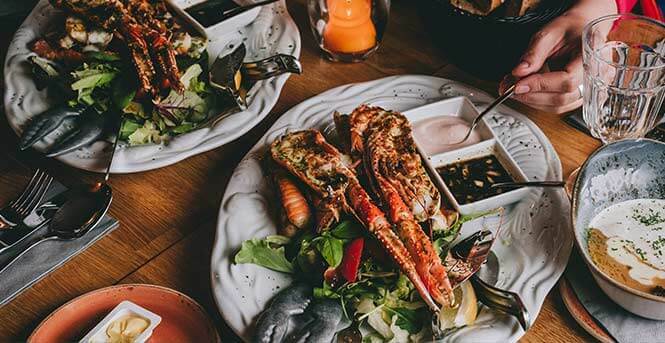 But to dig in deep in to the richness of the local flavors, you must try the authentic dishes such as Skýr, harðfiskur, rugbrauð, slátur and hákarl. Traverse through beautiful vast valleys and gurgling streams, and feel close to nature. 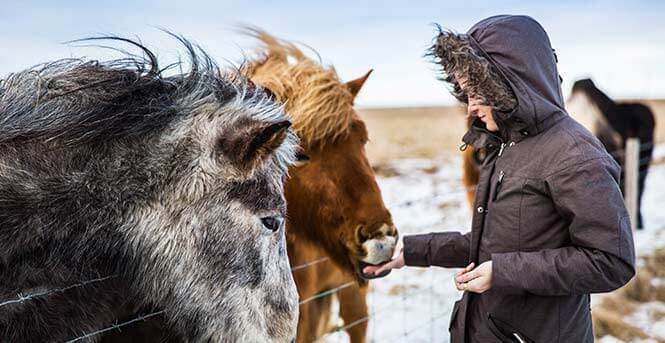 When it comes to exploring Iceland, a horseback riding tour is definitely one of the best ways to do so. Not just the capital but many cities and villages of the country offer horseback riding tours. A must-do for the ones with an adventurous heart. Music, dance, film, food and literature — whatever your interests may be, Iceland is there to celebrate it with you. Some of the best festivals in Iceland are organized during the winter season. One of the last European countries to settle down around the 9th century, Iceland’s culture is as diverse as its landscape and this reflects in the festivals hosted in different parts of the country. Travelers exploring this beautiful country via rental cars need to keep a few things in mind. Driving off road is not only looked down upon but completely banned in Iceland. The authorities make an exception when it comes to driving on snow or frost. Flights: All fares are quoted in USD, based on historical data, might differ, cannot be guaranteed at the time of booking, available as of 08/06/2018, based on one (1) adult passenger travelling round-trip economy and are inclusive of all taxes & fees. Prices excluding baggage fees that may be charged by the applicable airline. WOW air: based on round-trip travel from NYC to REK departing 09/06/2018 and returning 09/15/2018. Icelandair: based on round-trip travel from NYC to REK departing 09/28/2018 and returning 10/01/2018. 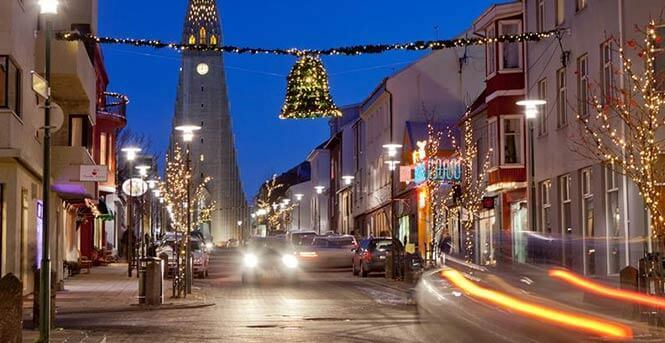 Reykjavik city: based on round-trip travel (on United Airlines) from NYC to REK departing 09/11/2018 and returning 09/19/2018. Our standard terms and conditions apply. Hotels: All prices are quoted in USD, based on historical data, might differ, cannot be guaranteed at the time of booking, available as of 08/06/2018, based on double occupancy and are average nightly rates between 09/04/2018 and 09/07/2018 excluding all taxes and fees. Our standard terms and conditions apply. Car Rentals: All prices are quoted in USD, based on historical data, might differ, cannot be guaranteed at the time of booking, available as of 08/06/2018, based on stated class of vehicle and are average daily rates between 09/04/2018 and 09/07/2018 excluding all taxes and fees. Customer will be charged taxes and fees upon returning the vehicle to the car rental company, when and where it is applicable. Additional restrictions may apply based on the driver's age. Our standard terms and conditions apply.